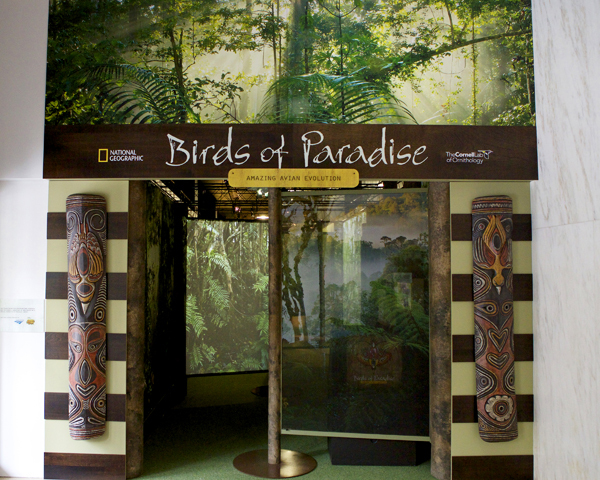 In 2012, National Geographic’s Washington D.C. headquarters hosted Birds of Paradise: Amazing Avian Evolution featuring two interactive media experiences that explore the evolution and distinct behaviors of these unusual and flamboyant birds. Leading the Unified Field team, I oversaw the design and production of all interactive media. The exhibition was named one of the top museum exhibits of 2012 by the Washington Post. A gesture-based game invites visitors to mimic the unique mating rituals of the western parotia. 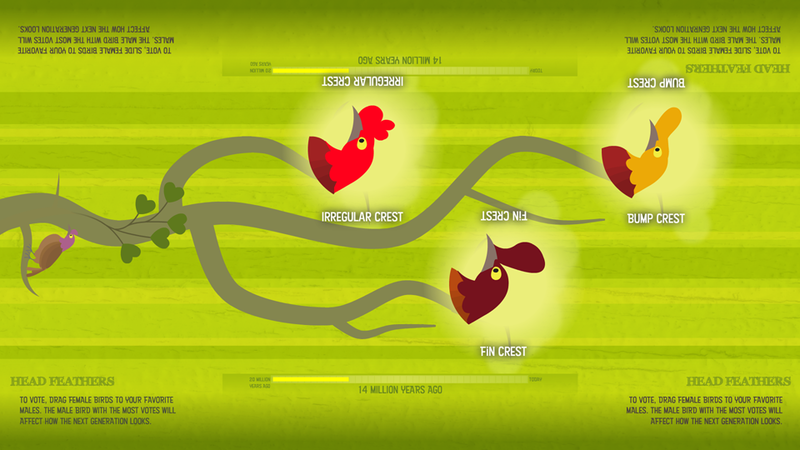 A multi-player game uses playful competition and beautiful illustration to show how the flamboyant appearance of birds-of-paradise evolved over millions of years.